Today Tuesday, November 8, 2017, our group of 20 real estate related executives led by Dr.Sopon Pornchokchai, President, Agency for Real Estate Affairs visited a Modular Home built onsite. It belonged to a leading modular homes companies, the USModular Homes. In addition, we visited a senior home apartment too. "When you build a modular home, you have control over the design. For example, you get to choose all of the elements that go into your home, from the paint color to how your kitchen is laid out. You can completely customize to your specific specifications. These homes are built in a factory, so it only takes a few weeks to complete the construction. Since it is built indoors, there is no risk of mold or water damage during the construction process. Los Angeles residents can easily customize their homes to the trends of the area, such as sunrooms, granite countertops and French doors". 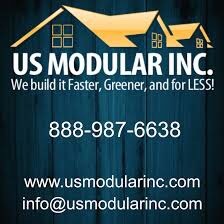 "US Modular, Inc. can offer you a better quality home because we use the best construction materials. 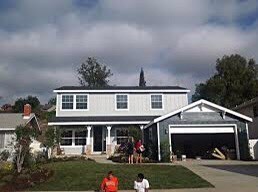 Our homes are green and will not lead to wasted energy. You can also be sure that you will not be faced with unexpected or extra costs". "When you have a modular home or prefab home, you do not have to worry about it depreciating in value. In fact, this type of home appraises exactly the same as other types of homes. Once these homes are placed on a plot of land, they become permanent structures. You can also choose to add a basement or crawlspace, just like a traditional home. When it comes to building modular homes, the mortgage and insurance process is the same as it is for site-built homes". Palm Village Senior Apartments has a total of 58 units, 57 of which are Section 8 assisted living units. All Section 8 assisted units on this property are one-bedroom. To determine the value of a particular housing program, we looked at the cost of rent versus the inspection score awarded to the property during its most recent inspection. Palm Village Senior Apartments scored a value rating of 5 out of 5, which is among the highest scores for the region.